Noon to 5 p.m. Every hour on the hour, a local Durham food product paired with a rare Fullsteam beer.6 to 8 p.m.
Durham-centric trivia, complete with local prizes. Hosted by the ever-sassy Rachel Mills.8 to 9 p.m.
Watch (or rewatch) the Season Two premiere of Brew Dogs…featuring Fullsteam! DJ Layabout turns Fullsteam into a rockin’ dance floor with Soul and R&B vinyl. A midnight screening of the Citizen Kane of bad movies…The Room! Bring your footballs and spoons. And what of the dress, you dandies and fashion-mongers ask? Wear white! 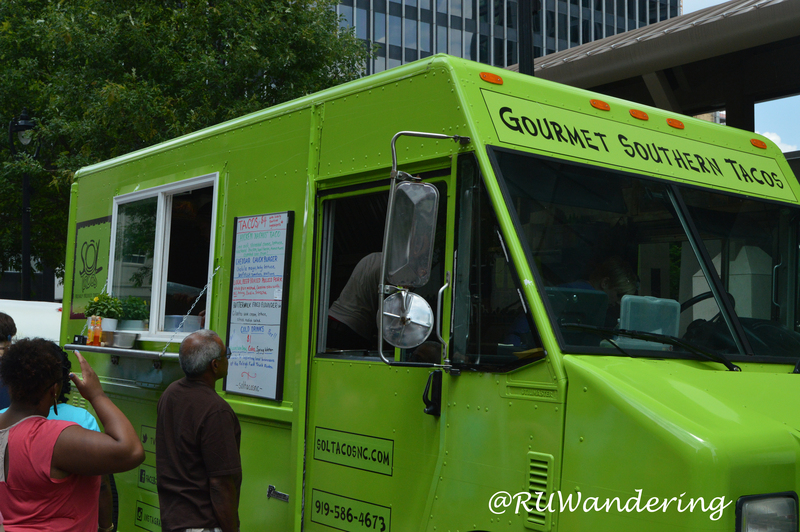 That’s right Tarheel fans, there are food trucks in Chapel Hill for gameday. Both American Meltdown and Baguettaboutit should be at the game. Baguettaboutit confirmed they will on the Bell Tower side of Kenan. Free Beer/ Wine Tasting, Live Music, Food Truck, Carrboro Coffee Demo, Petting Zoo, Local Author Reading. Thanks Triangle Explorer for forwarding the information. The event will be from 1 to 4pm. Free Local Brewery Tasting outside under the Beer Tent ~ Raleigh Brewing Company & Triple C Brewing from Charlotte will be here pouring great beers. Free Wine Tasting with Everyone’s favorite Spaniard (Andoni Uroz) will be back behind the bar with great wines from Spain & Portugal. Coffee Tasting with Justin from Carrboro Coffee Roasters. Valentino’s & Not Just Icing Food trucks will be on site to fill your belly. Update: Not Just Icing will not be at Taylor’s today. Free Petting Zoo with Farmer Mary @ Winterpast Farm will be here with lots of baby animals to hold and feed. Famous local author Jerri Rossi & his granddaughter Mia will be on the porch reading from their adult & children’s books. Raffle & Give-away’s of Local Craft Brewery Swag. AmigoSan will be at the Carolina Railhawks game this evening. Green Olive Deli will be at Falls River’s Greenway Club. Lone Rider (Raleigh): Halal Bros.